There are different types of Mexican Blankets. Some are more famous than others but all have unique color patterns and design. Keep reading and you will find more info about the different types. 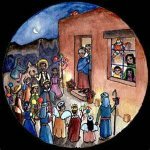 Mexican blankets are traditionally made out of natural fibers; cotton, and wool, but now are being replaced with polyester, and acrilon, which is an acrylic based fabric. Blankets are made all over the country under different common names and uses. Some of these blankets are wearable and they are called: jorongo, frazada, tilma, gabán, chamarro or Ponchos. Most of these blankets have an opening the middle for the head. You will also find tapetes or Mexican rugs which are also know around the world for its design beauty and artistry, in particular the ones hand woven in Oaxaca, Mexico with Zapotec designs. First there are the "real" blankets which are used on a bed but also called throw blankets to be used in a sitting position. 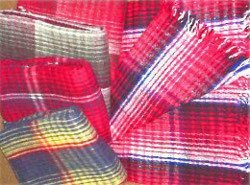 The patterns of the typical Mexican authentic blanket is usually a square grid with different colors. They were originally made out of wool and now they are made of polyester and acrilan. In rural Mexico this is a common bed accessory. Perfect for a country house and cold climates. These are probably the most unique of all blankets. 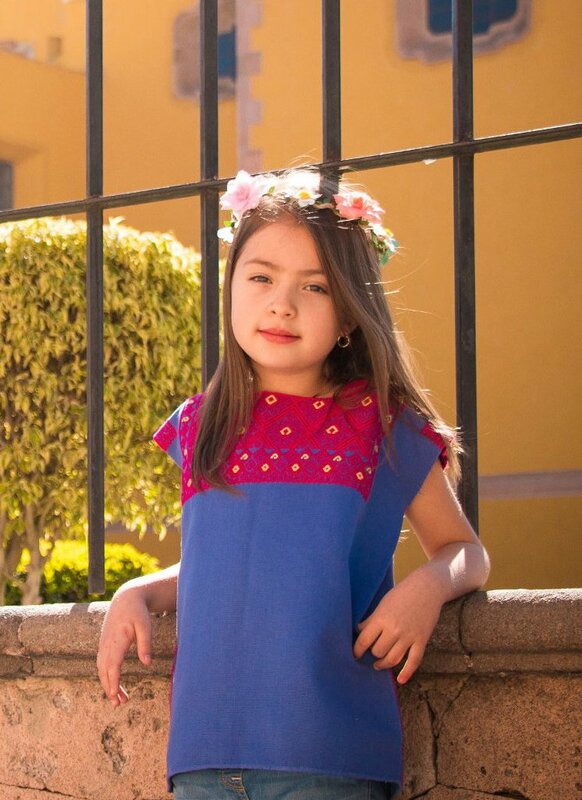 A perfect example is the art with colorful designs from the Otomi culture. Find in the picture an example of such blankets. Otomi textiles and rugs a true work of art. They consist of animals and plants close to each other with a simplistic yet very appealing design. The pictures come from pre-Hispanic art found in caves and rocks. These types of rugs are handmade and they have a great deal of work put into them. 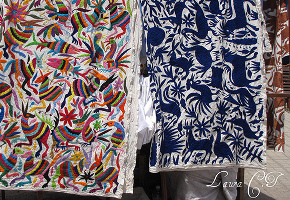 There are other types of Mexican traditional blankets and textiles. One of the most popular is called the Mexican rebozo, which is a really delicate piece that women can wear in multiple ways. When it comes to a blanket from Mexico most people think of the traditional serape design which is originally from the city of Saltillo in the North of Mexico. 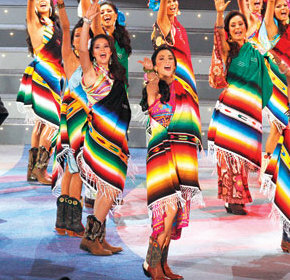 The traditional serape was normally worn by people in different episodes of Mexican history. Just a few decades ago, the serape and the rebozo were commonly used by all people in Mexico as it is portrayed in pictures, and photos from the Mexican past. Nowadays, a serape is a really nice accessory that is purchased by travelers and locals alike. 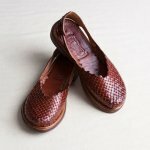 They can be worn, used as a TV blanket, decorate a wall, decorate your wooden floor, tile or carpet, or even as table cloth. It will give your home a beautiful Mexican accent! The traditional techniques and material used to make an authentic Mexican blanket make it hard to imitate. So, if you want a true handcraft, make sure it's a piece made in Mexico. When you visit Mexico don't forget to take a Mexican blanket home.